I’ll confess to being a bit of a light nerd. My personal inventory includes dozens of different specimens, ranging from full-size rechargeables through pen-size units you can drop in a pocket. When I find myself in a dark place, having an instantly available light source helps keep me safe. So, how did I come to have so many lights? I doubt if any other technology in the public safety field continues to evolve any faster than illumination tools. What was state of the art just a few short years ago has been quickly eclipsed by newer innovations. Just when you think you have it all covered, a new entry to the market offers significant, tangible advantages over what had come before. 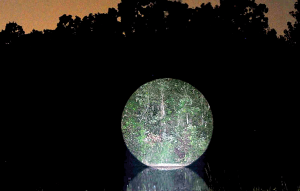 The new OD40 Long Distance Illuminator from Optical Dynamics is indeed an innovation. With some other high intensity lights, I have enjoyed a degree of success illuminating objects or people in the distance. To date, I haven’t discovered any handheld unit which projects light like the Optical Dynamics OD40. This game changing tool is capable of projecting a perfect circle of white light out to 200 yards – something you just can’t do with an ordinary flashlight. The quality which sets the OD40 apart from other lights is the proprietary Collimated Amplified Lens System (CALS). 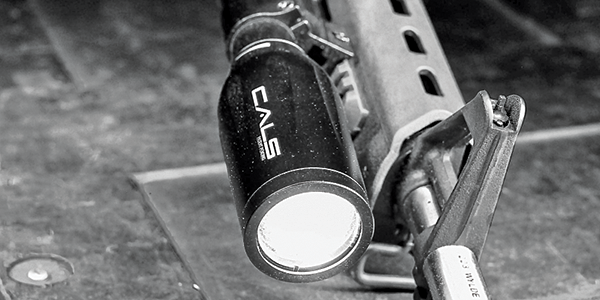 CALS technology gives the OD40 the ability to project a harmonized beam of light without the use of a reflector or diffuser. The multicoated 40 mm precision lens captures 100% of the light generated by the CREE LED to project a narrow, adjustable column of white light. Total light output is rated at 650 lumens. The OD40 is crafted from aircraft grade aluminum alloy and weighs 14 ounces. Measuring 8.5 inches in length, it’s a tad long for pocket carry, but it would be right at home in a belt scabbard or on a tac vest. The OD40 is engineered to be shockproof and resistant to momentary water immersion. Power is supplied by a pair of CR123A three volt lithium batteries which give a run time of 100 minutes. 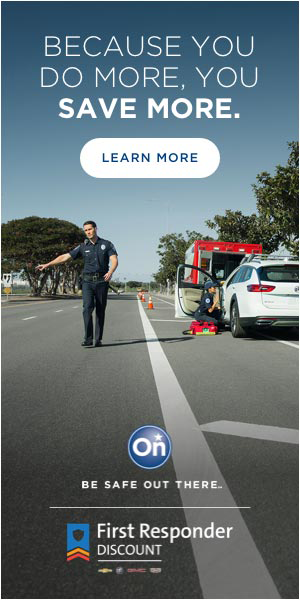 Like many contemporary illumination tools, the OD40 features a tailcap activation switch. As luck would have it, the arrival of the OD40 coincided with some low light training on the range. I was able to clearly illuminate targets of 100 yards where they could be tagged by a partner with a rifle. Should your rifle be equipped with a high quality scope, I’m sure you could stretch that distance even further. Used at distances beyond the capability of ordinary flashlights, the Optical Dynamics OD40 is indeed a force multiplier. Options include a remote tailcap switch and one inch and 30mm rings to attach the OD40 to a rifle. After giving the OD40 a shakedown, I am of the mind that it is a specialized, rather than general purpose, light for law enforcement personnel. This, of course, is not a bad thing and it fills the role very well. On the job, my travels often took me far off the beaten path and having a tool which could throw light a great distance would be a very big advantage. There are also some very obvious advantages for the tactical specialist or search and rescue applications. The OD40 ships with a padded nylon storage case and a cleaning cloth, plus red and green colored lenses. One can also upgrade to a kit which includes a remote switch and scope rings. Light technology continues to march on. If you require an illumination tool which can reach out and pierce the darkness, the Optical Dynamics OD40 is the way to go. Clearly, spotting potential problems in the distance will keep you safer.